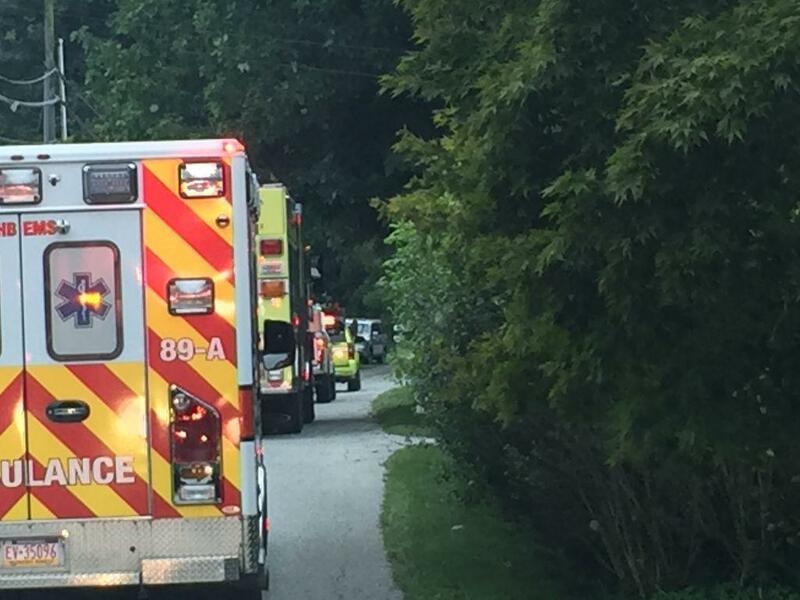 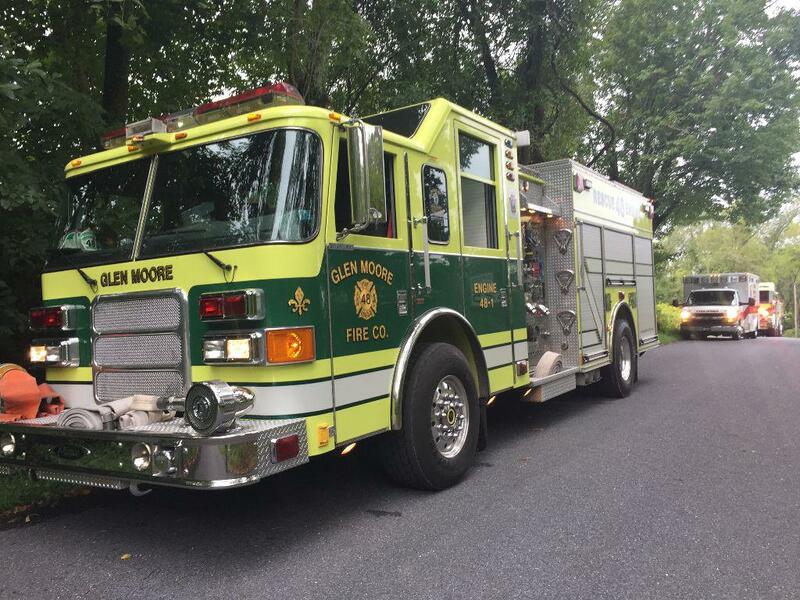 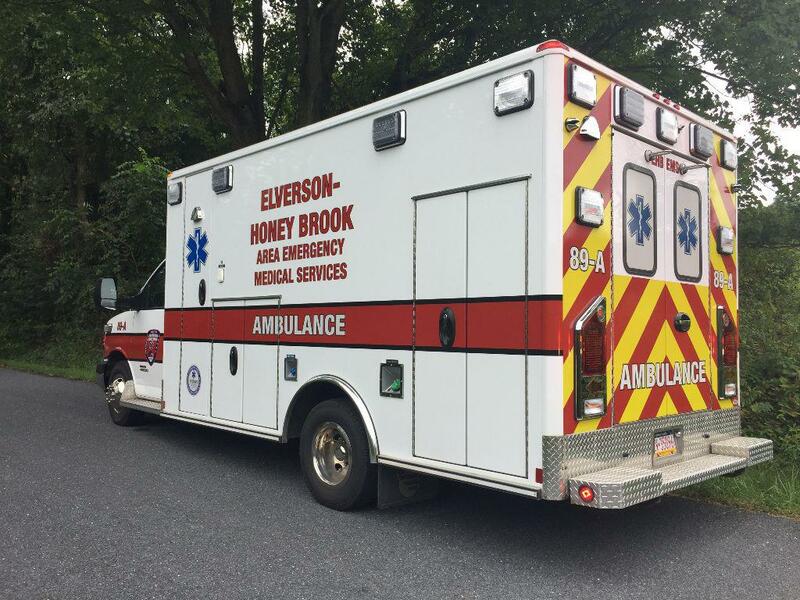 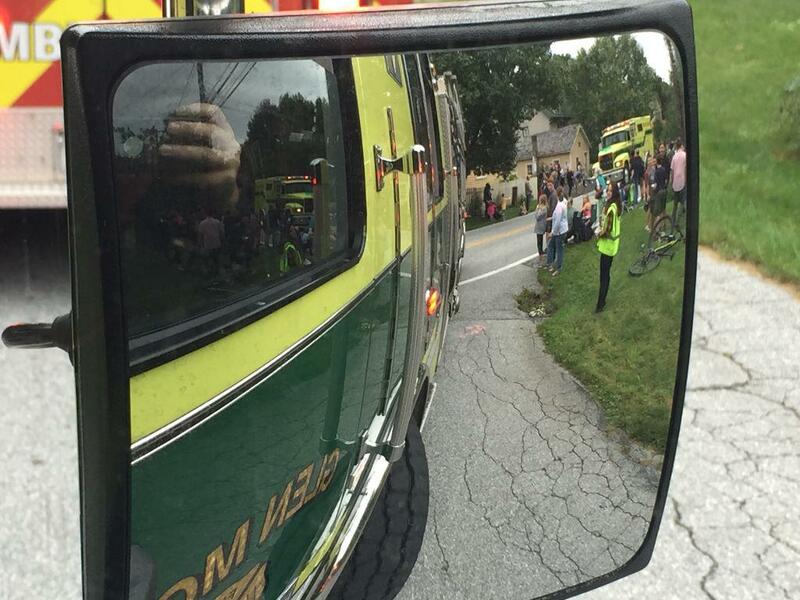 The Glen Moore Fire Company had a busy day on Saturday. 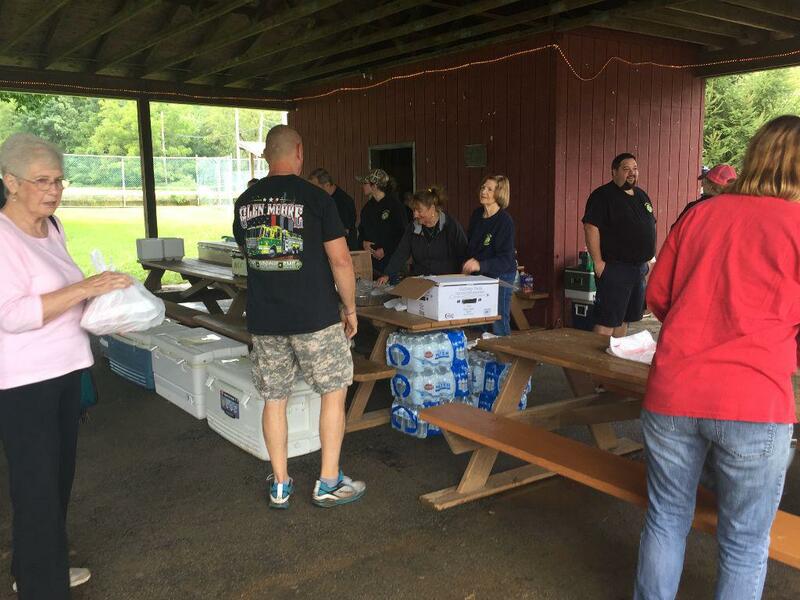 Volunteers got an early start with food prep and cooking the chickens for the Chicken BBQ. 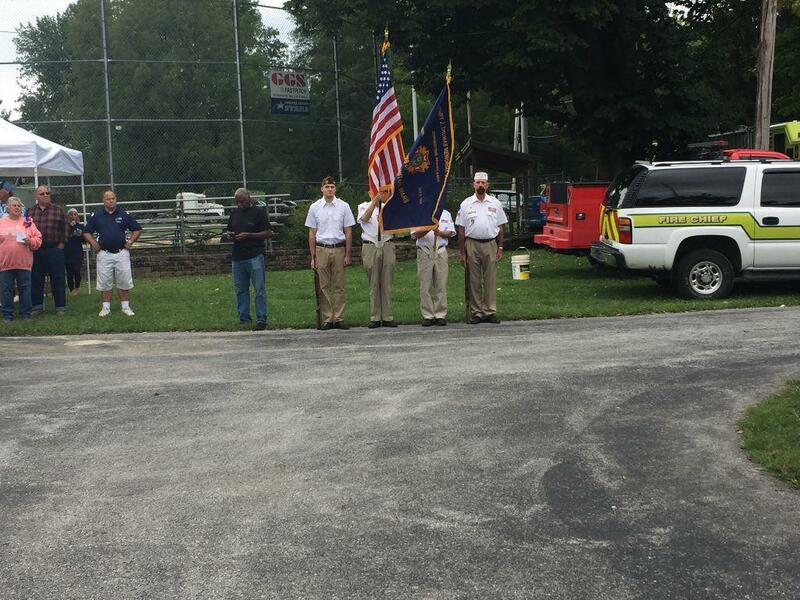 Some members set up at Wagenseller Park while others moved equipment and supplies from the firehouse to the park. 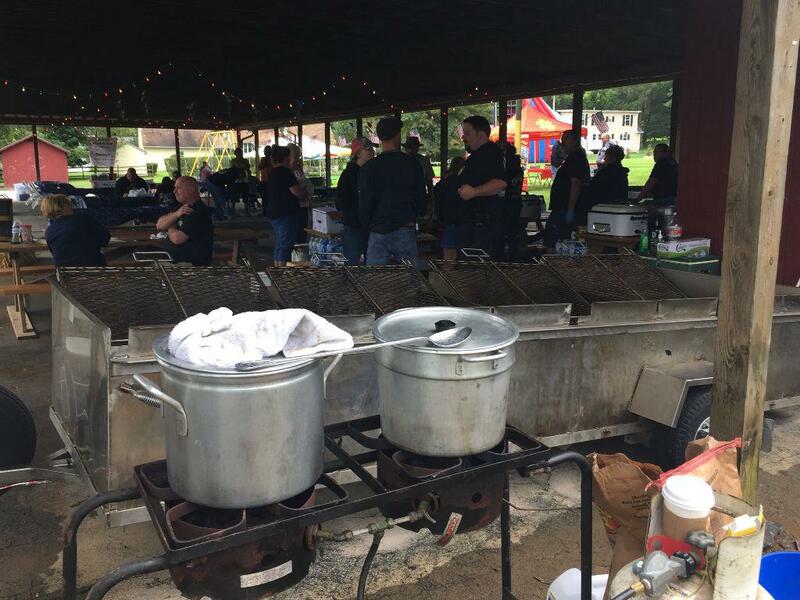 The first meals were sold at 1:00pm and continued until 6:00pm. 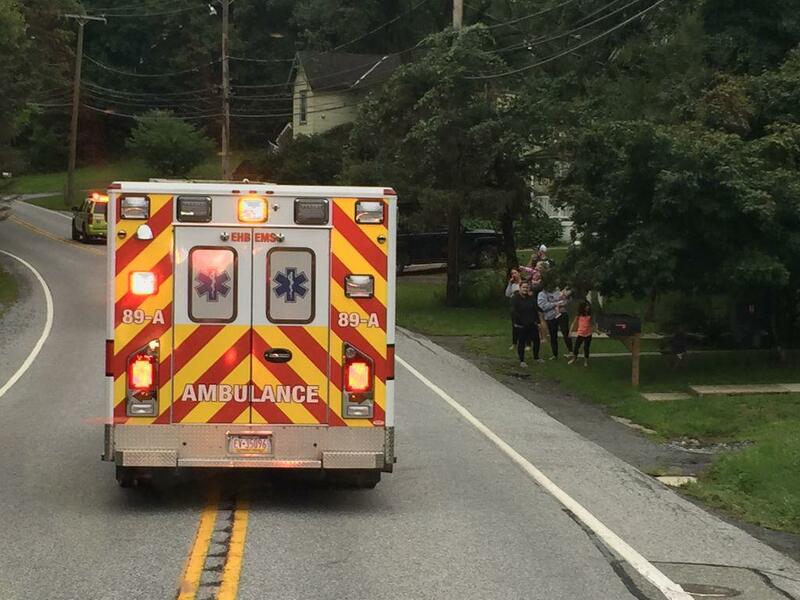 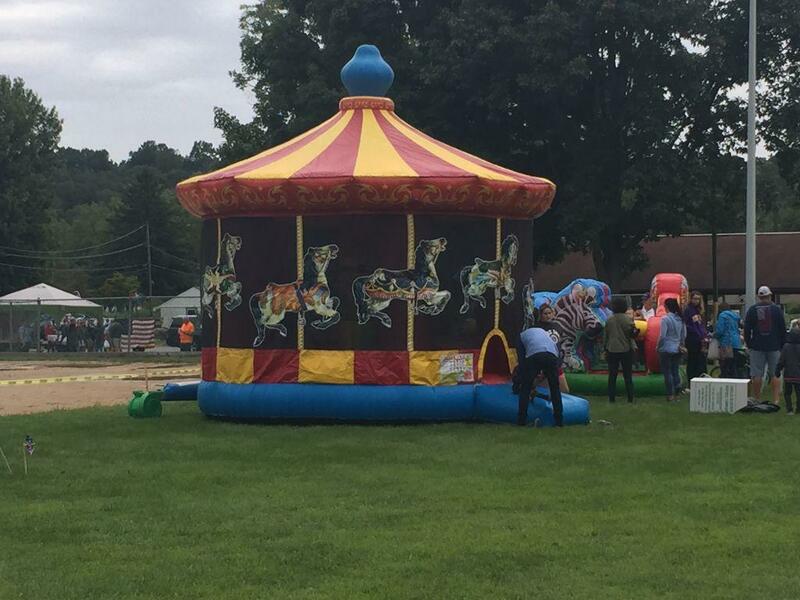 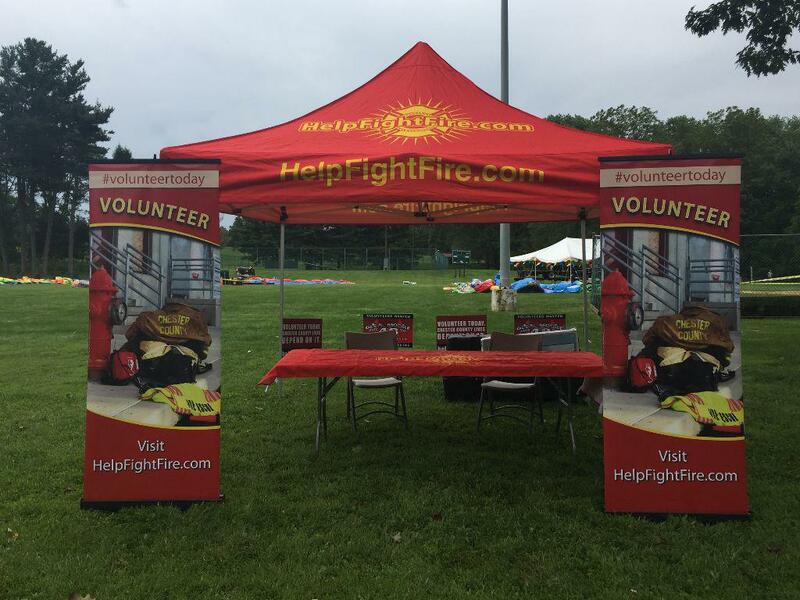 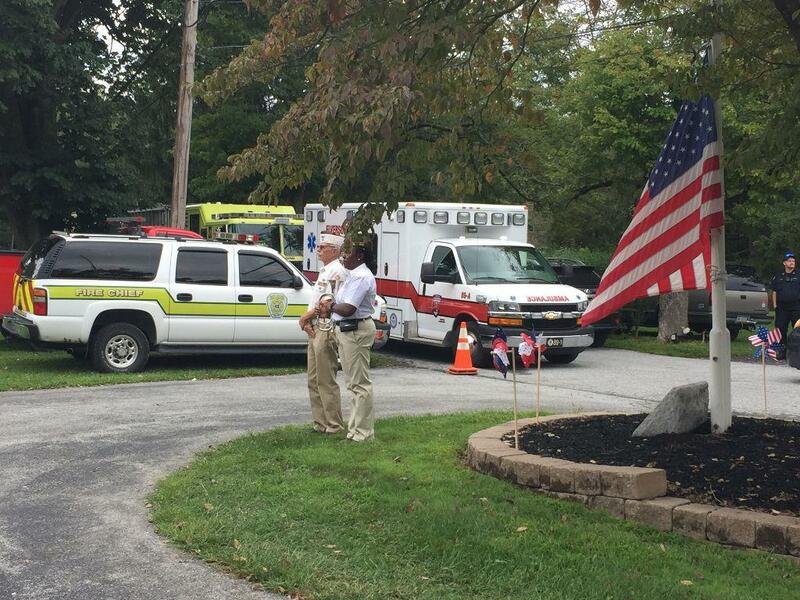 At 3:30pm, the volunteers prepared the apparatus for the parade that kicked off Wallace Township’s Community Day. 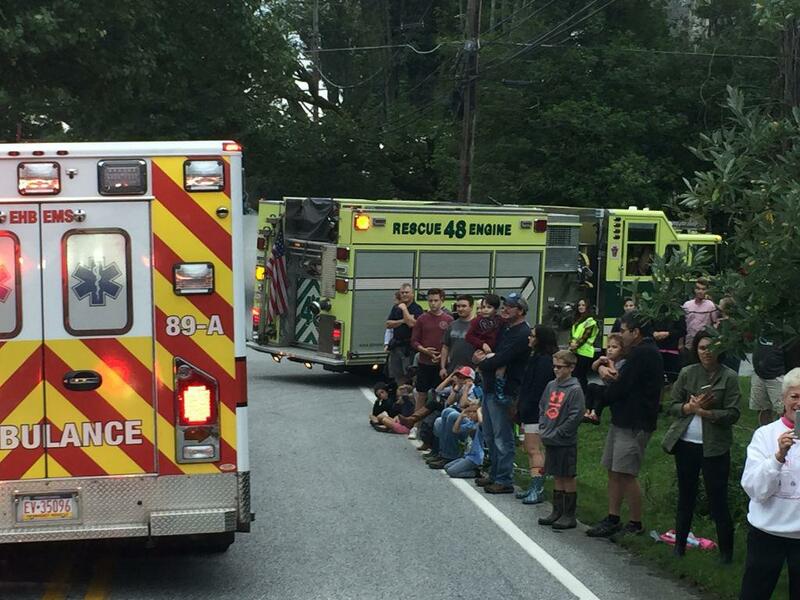 All the apparatus were in the parade including GMFC’s newest truck – Brush 48. 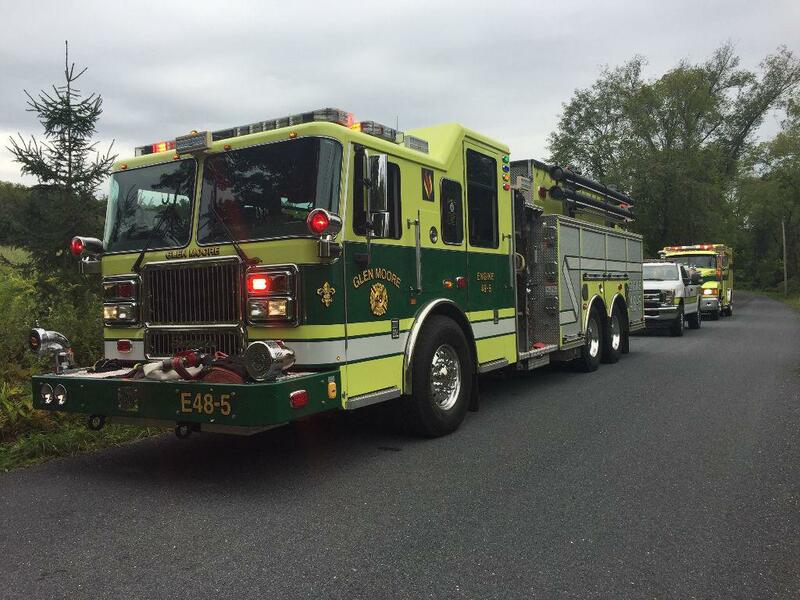 Brush 48 is due to go into service within a few weeks. 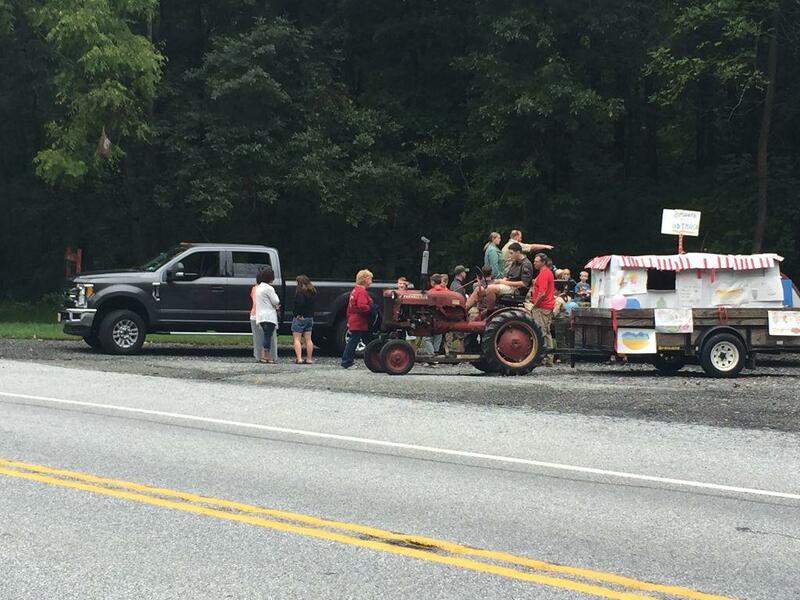 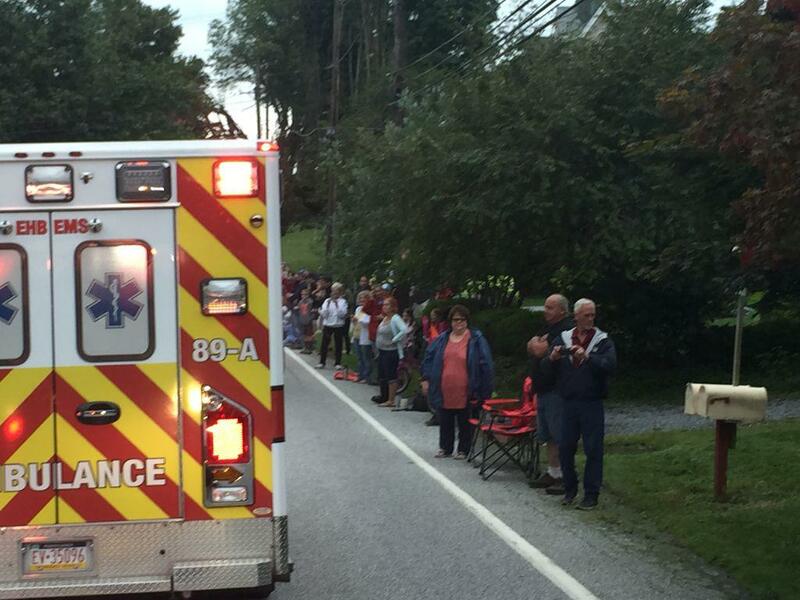 Many community members lined the parade route to see the fire apparatus as well as the other cars, tractors, and participants in the parade. 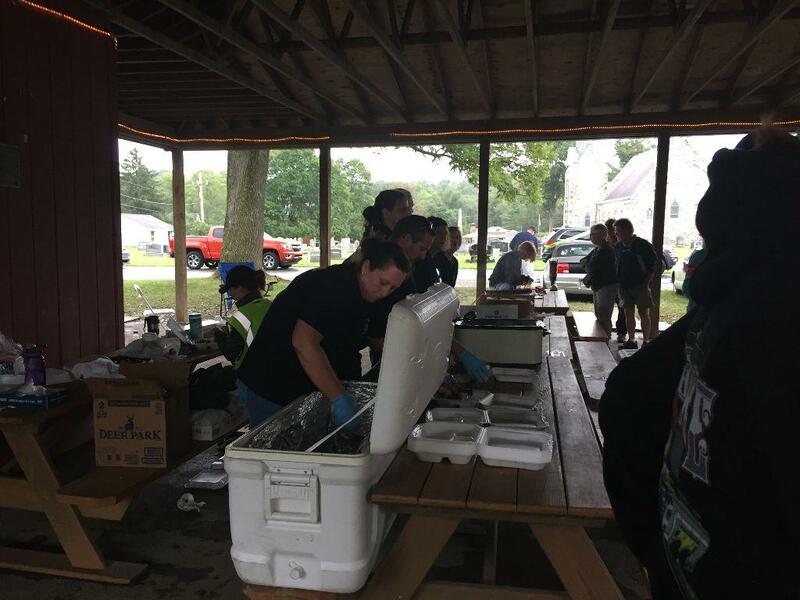 The parade concluded at Wagenseller Park where the volunteers continued to sell the chicken meals. 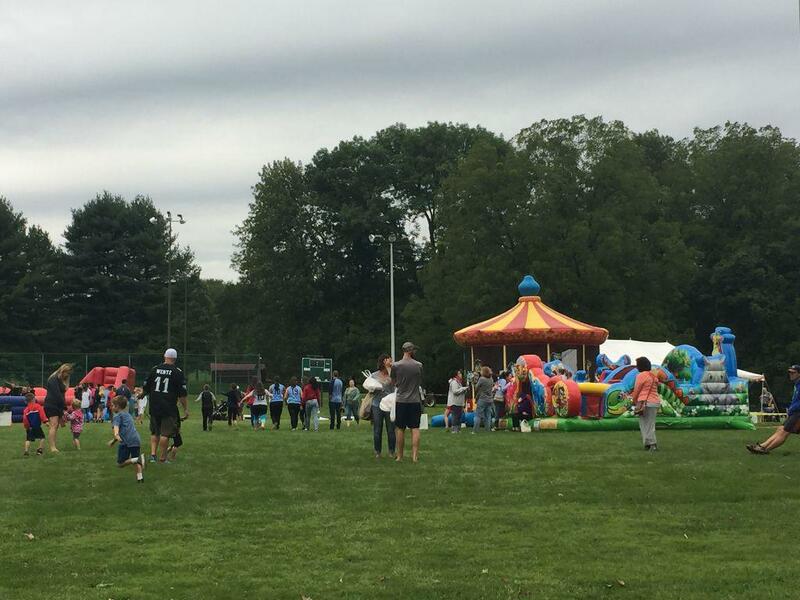 Many community members attended community day and took part in the fun activities. 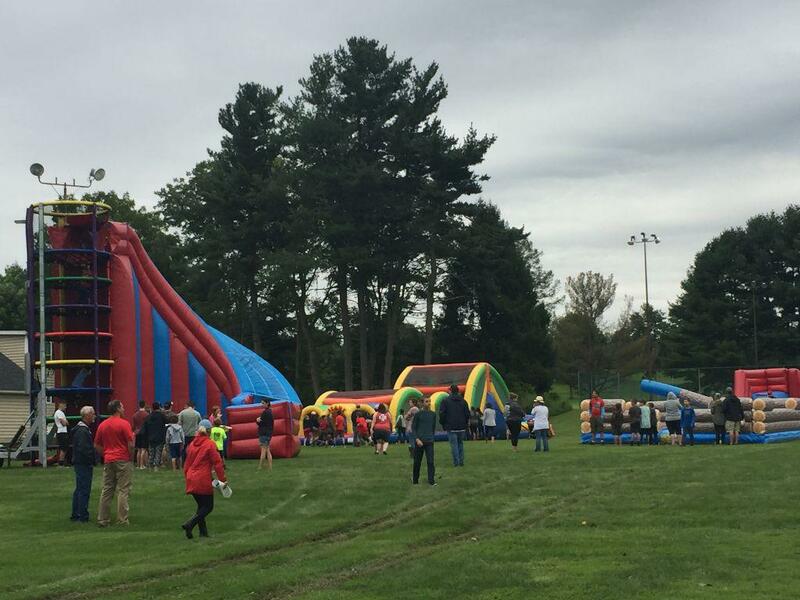 These activities included moon bounces; bingo; live music; and games. 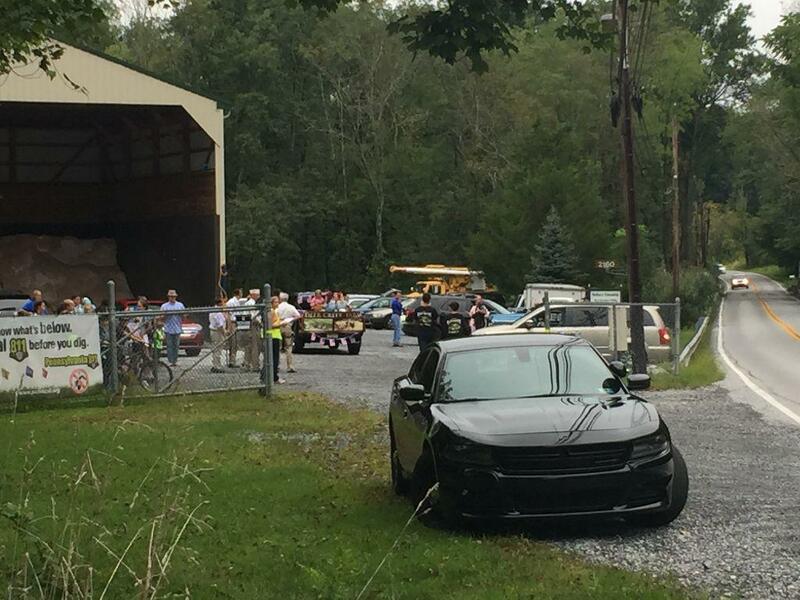 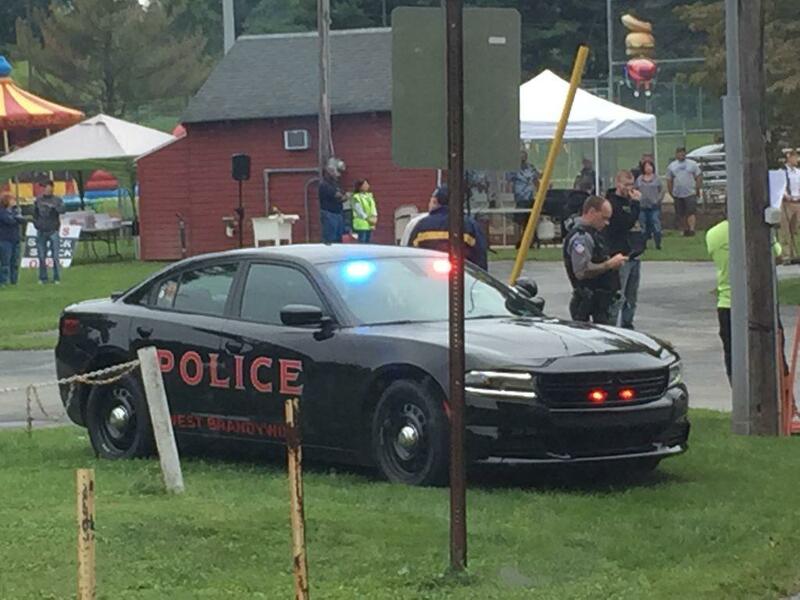 The West Brandywine Police Department had a police car on display as well as some of their equipment. 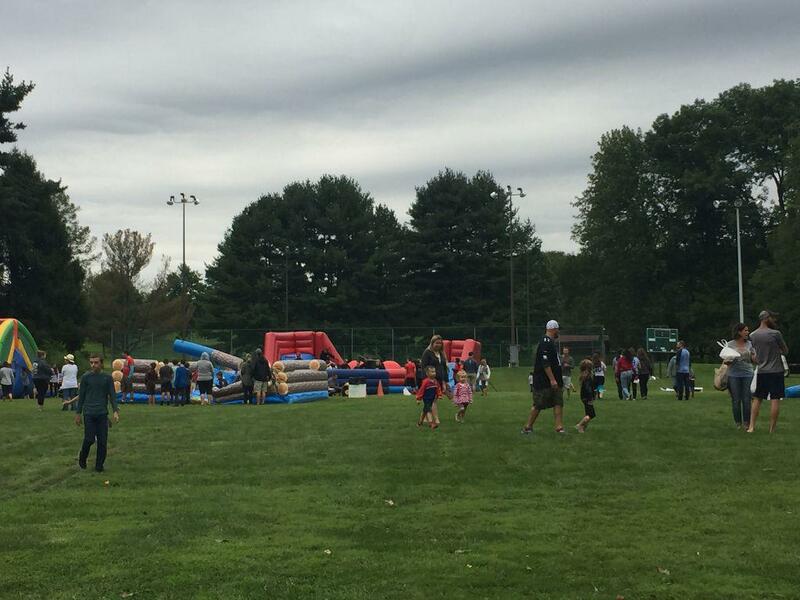 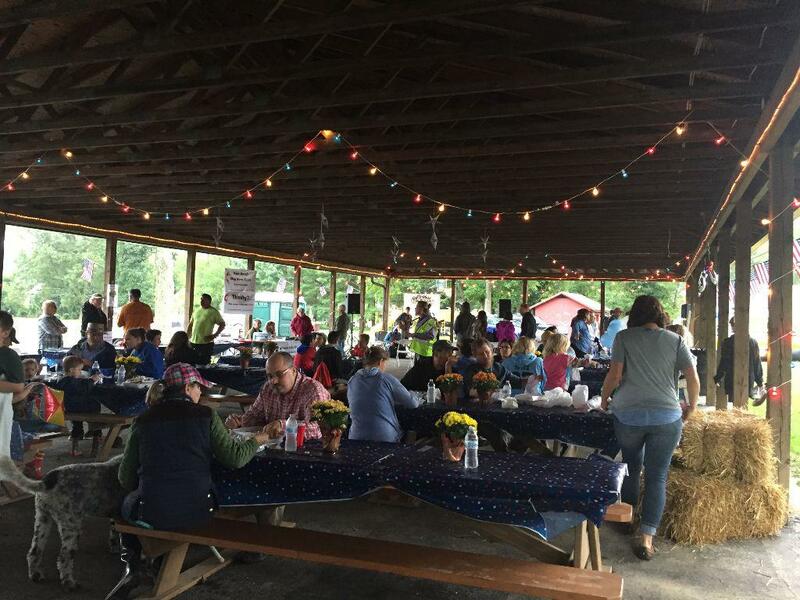 The rains eventually came but it did not damper the fun at the event. 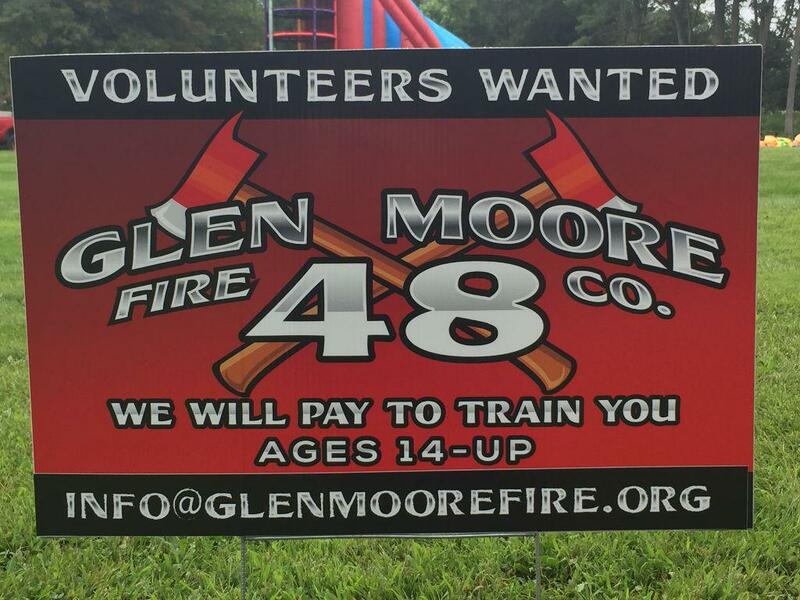 The Glen Moore Fire Company would like to thank Wallace Township for allowing us to sell the chicken meals. 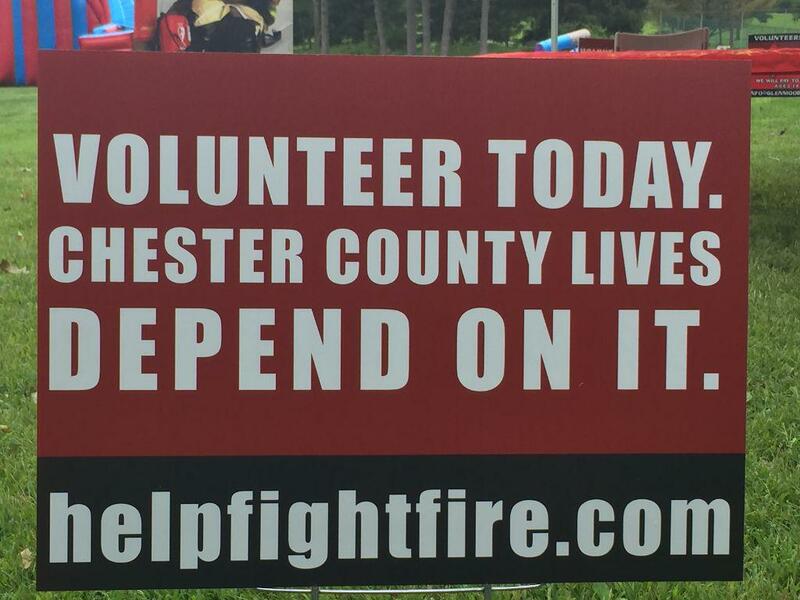 We also want to thank all those who attended this great event and for supporting the fire company. 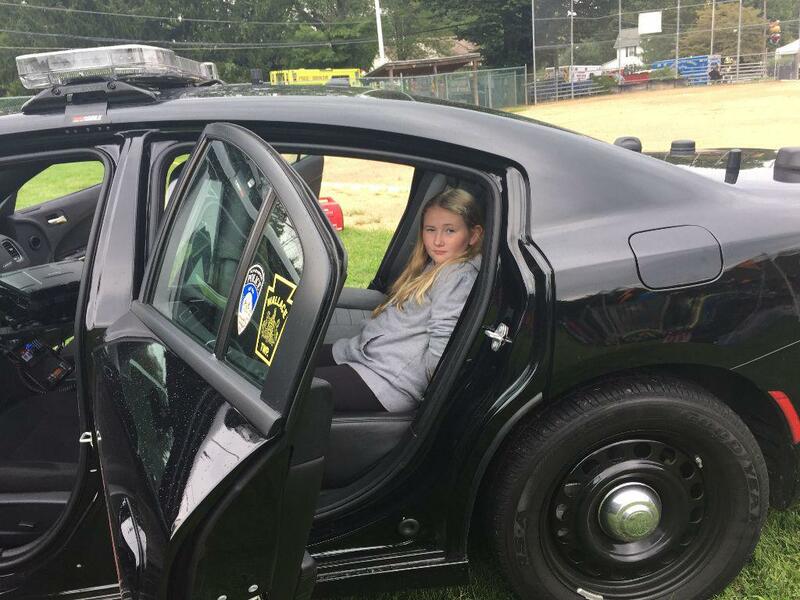 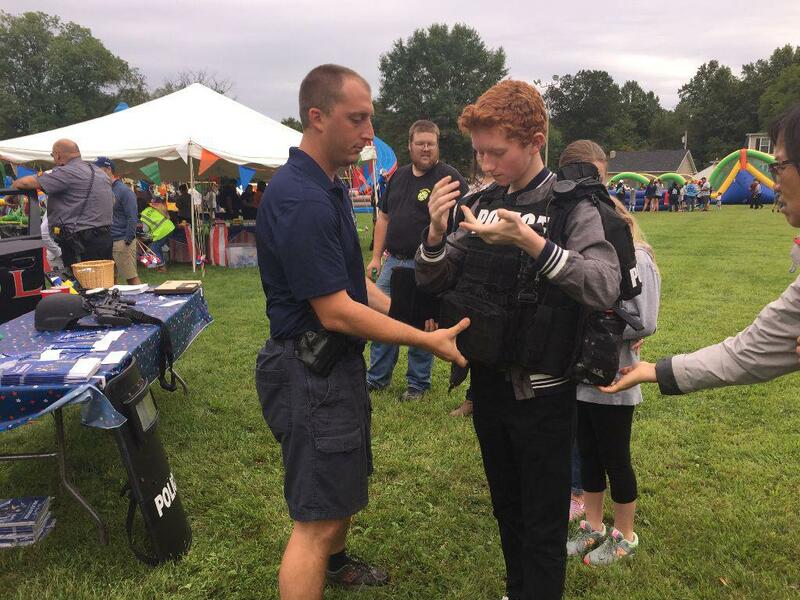 West Brandywine Police Officers interacting with the kids. 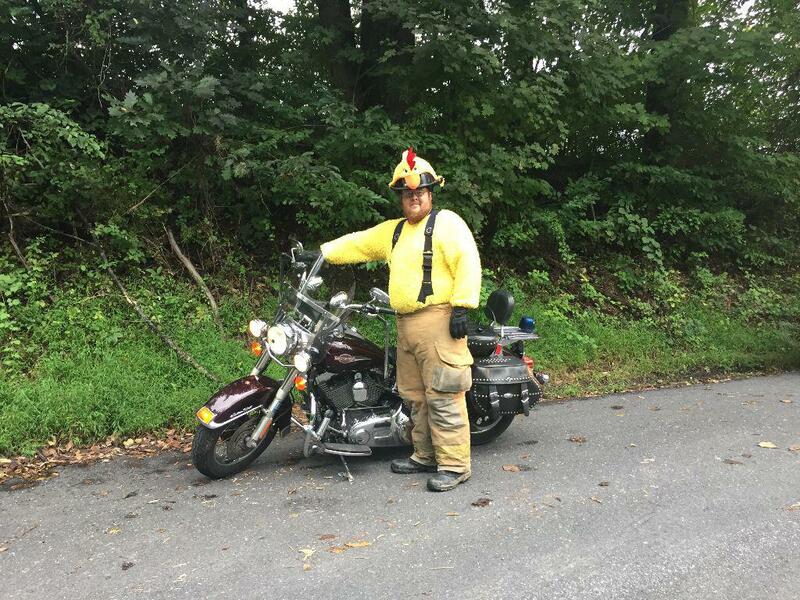 GMFC's own - Firefighter Dylan Seese as the chicken.